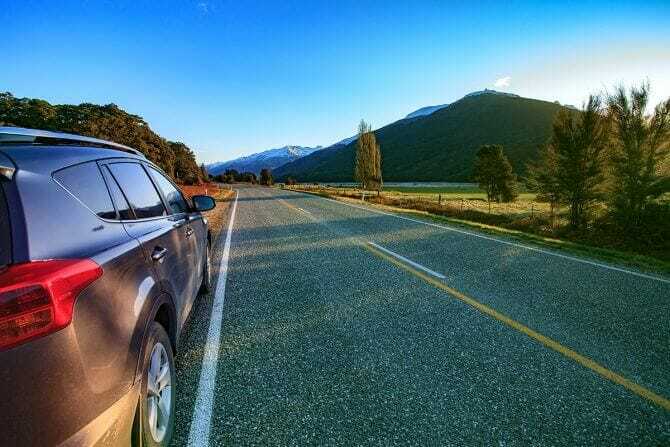 Luckily, we’ve prepared a short guide on how to best go about purchasing your next car in New Zealand, as well as covering a few of your basic rights and responsibilities, and some of the more complex terminology involved. The first choice to be made when buying a car is whether you’re going to be buying through a private seller or a registered dealer. Even if you think you already know your answer, don’t rush this decision! There are obvious advantages and disadvantages to be found with even a cursory glance at both options. When you purchase a car from a dealership, you’re buying not only the car, but the service, a guarantee of reputability, and a full knowledge of the car’s history. This eliminates a lot of risk and preparation from the equation. Dealerships are required by law to supply a Consumer Information Notice (CIN) that provides comprehensive information on the Warrant of Fitness, Registration, Ownership, and history of the vehicle – something you won’t get from a private sale. When buying from a dealer, you’ll not only be able to have them handle the pertinent questions, but you may be able to return the car if any of them are not met or supplied in insufficient quality. The downside of this is, of course, the price. Private sellers eliminate the middle-man from the equation, and while you lose some of the benefits and might have to put more research and time into it, you’ll save the cost of doing so. Any mechanical faults with the car may be either be fixed by the dealer or the vehicle replaced (depending on the nature and and timing of the fault). As they’re a registered company, any agreements can be verified and enforced by law for the benefit of the consumer. The Fair Trading Act, Sale of Goods Act, and Consumer Guarantees Act all apply here, and you may be able to take disputes to the Motor Vehicle Disputes Tribunal. Check the contract before signing, and research your rights if something goes wrong. Just because you have certain rights doesn’t mean that a disreputable dealership won’t try and persuade you out of them. Private sales include everything from a Trademe ad to a facebook ad, and while they’re less regulated than a dealer, they’ll usually come with a reduced price and a higher risk. You’ll have to do an additional share of the legwork in deciding the car’s roadworthiness, procuring the necessary documentation from the owner, and making sure there’s no inherent downsides to the sale on your end. You may not be covered under almost any of the above legislation for this sale, so make sure that the car is roadworthy and that it possesses all necessary documentation. When buying from a private sale, having a membership with an organisation such as New Zealand Automobile Assistance (AA) is especially handy in case of surprise breakdowns. Get a pre-purchase independent inspection through the AA or your local garage. Check the PPSR (you can also use CARJAM or Motorweb Vehicle Information Authority) for any outstanding security debts on your new car BEFORE purchasing it, or you might end up shouldering some of the debt. There are scammers who try to take advantage of this by making money off of a debt. Admiral Finance can also assist with these checks, as there are some severe limitations on who can and can’t search records. You can spot an under-the-radar or shifty sale quite easily if the seller is unwilling to create a written agreement or get a current Warrant of Fitness check. This is required by law for an ‘as is’ sale to take place, to ensure both parties are aware of the car’s current roadworthiness. Check and double check on every step of the proceedings. Do your research, suss out the vehicle, and don’t spend your last dollar on it; there may be limited protection if it conks out after five minutes on the road. The NZ Transport Agency provides a pretty comprehensive list. Don’t trust anybody who won’t let you test drive the car, and remember that you can ask for a mechanics check before buying to determine the current state as well. If you’ve found a car and have decided upon your type of seller, it’s now time to explore your financing options. The easiest and most obvious method is to outright purchase a car for the entire cost price, and simply drive it away with no further commitments. The second way is to pay it off over time in installments, getting a loan from a financier through a purchase agreement. This usually takes the form of the financier buying the car directly from the seller, and loaning it to you as you repay it. Once the initial price (plus any interest) has been paid upon the principal, the car is then transferred formally to you. If you end up defaulting the loan completely, the car is used as security. If you’re confused about the specifics, CARJAM provide free sales and purchase agreements for prospective buyers. And if you need a new car immediately and you’re currently short on cash, give Admiral Finance a call to discuss your options for making this happen. This a summary article and is not legal advice and you should do your own independent research and checks.